A four month programme designed to develop a group of HOD's to become potential members of the Executive team. The process involved peer-led learning with the Executive team sharing their knowledge with the participants. The outcome was a team of motivated, empowered managers with the dynamic skills and insight to support the whole hotel. A nine month programme designed to support improved team engagement was created and facilitated in collaboration with the Touch Company, for the garden team at Babylonstoren. It was followed up with a second year engagements to consolidate team achievements. An intensive process of preparation was created and facilitated for the front of house team at Babel Restarant, Babylonstoren in collaboration with the Touch Company. The restaurant had doubled in size and the team need to prepare for season with these changes in mind. They co-created new systems and procedures to support their ability to provide high quality service in the new environment. A four part leadership development programme was created and facilitates with the management team at Fairview in collaboration with the Touch Company. The sessions supported the team as they addressed their concerns, developed a management vision, clarified roles and responsibilities and established agreements. A customised learning solution developed in collaboration with The Touch Company. It was created to support leadership development at the One&Only Cape Town . The programme contributed to creating a new culture within the hotel, improved levels of engagement and productivity as well as developing strong inter-departmental collaboration. 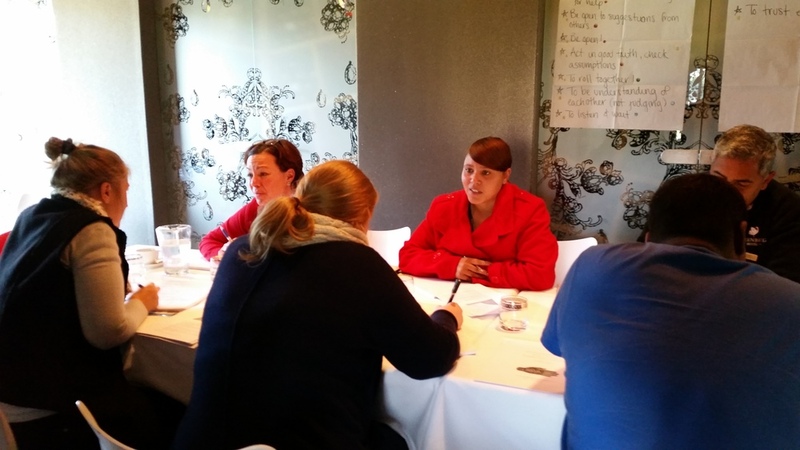 Two separate programmes took place for the Steenberg Hotel team - one with the hotel managers and the other with the hotel front office but both looked groups focused being a high performance team. The outcomes were tangible results which shifted the daily operations and relationships of team members in a positive and supportive manner. The Foodbarn is a well established restaurant and deli in Noordehoek Farm Village. The business was changing and the management team came together to refine their systems and plans to accommodate the shifts in a proactive manner. The outcome was an inspired, connected group that was ready to move forward as a unified team. A bespoke two day programme was created to support the team within Singita's Style & Design department prepare for the growth in collaboration with the Touch Company. The team co-created a context for change, explored the factors that contribute to their success, identified the key elements of their communication DNA and emerged with an expansion toolkit. 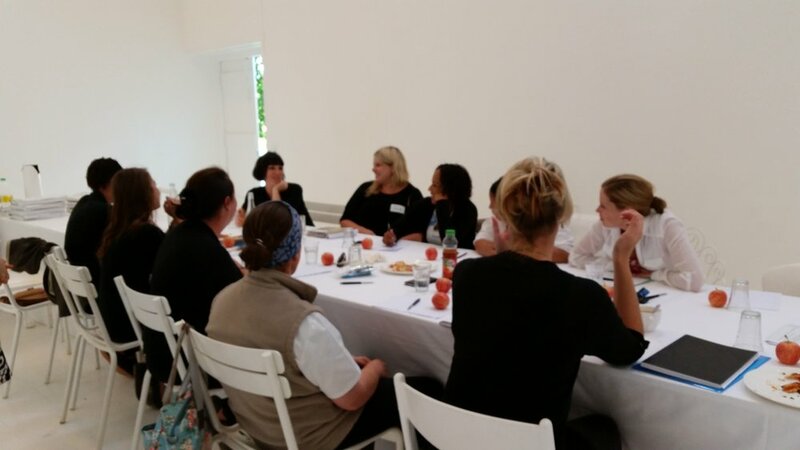 The food and beverage management team at Babylonstoren participated in a 6 month action learning set. Managers met each month to share their action plans and support one another as colleagues. In the process, they deepened their capacity to communicate plans, make decisions, reflect on their practice, build on successes and have a positive impact on their environment. Cape Brewing Company (CBC) at Spice Route wanted to to have their management team go through training that would support their ability to work as a team. A 3 part programme that supported them achieve this outcome in an experiential manner. was co-created with the Touch Company. They developed their understanding of what it means to be a high performance team. A tailored 4 month leadership programme that focused on proactive communication; co-created with the Touch Company. It resulted in improved relationships, communication and collaboration between members of the whole management team as well as a range of practical interventions for the hotel. 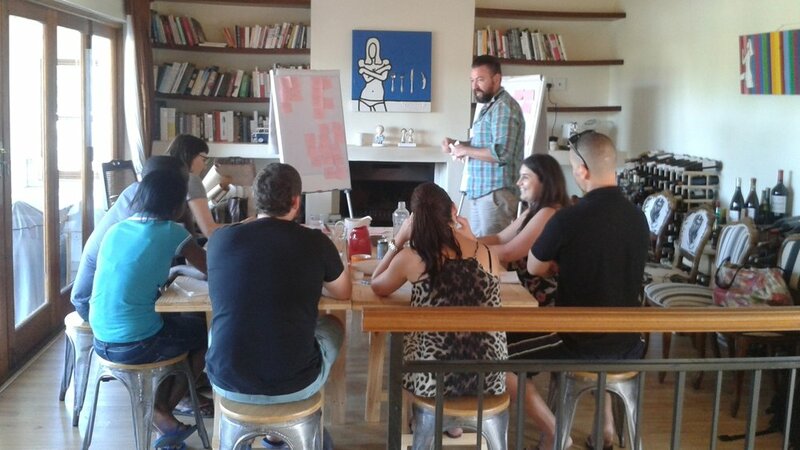 Eric and Tahirih Michot designed and facilitated a bespoke professional development programme for the management team at Cape Cookies. The process explored a managers mindset, roles and responsibilities, implementation and overcoming challenges, building a team and communicating results. Overture Restaurant is an award winning establishment of Chef Bertus Basson. The business was expanding its operations and opening a new location, Bertus Basson at Spice Route. The team went through a 4 part process which supported their exploration of what factors contributed to their success at Overture that they could build on for the new venture. An intensive 6 day programme for teams at Singita Lebombo and Sweni lodges in Kruger National park co-created with the Touch Company. It focused on supporting the management and F&B teams as they redesigned their systems around the lodge expansion. The outcome of the process was rewarding for the whole team and resulted in meaningful changes. The management team at Steenberg Hotel went through a bespoke 4 part programme designed and facilitated in collaboration with the Touch Company. The programme focus was on high performance management. The managers co-created concrete actions plan supporting team engagement, exceptional guest service and launched them for season. Tahirih Michot worked with a team of public health staff at a municipal clinic (Albow Gardens) for over a year as part of a larger Health Service Design Project within the City of Cape Town. The project was funded by the Dutch Consulate. The focus of the project was exploring the potential impact of service design and design thinking on the ability of the team to improve their service delivery. A short audio-visual clip about a course developed collaboratively with Phila Xuza (Centre for Small Town Regeneration). It is an innovative professional development programme for economic development practitioners in South Africa based on experiential peer led learning. It was researched in 2010, piloted at Aspire in 2012 and rolled out to 4 provinces in 2014/5 through SALGA. A 6 month professional development programme (PDP) for economic development practitioners took place through SALGA with a group of municipal officials in the KwaZulu Natal from October 2014 to February 2015. The impact of the course on the participants was dramatic, shifting the way they perceived themselves as individuals as well as professionals working in the field of economic development. 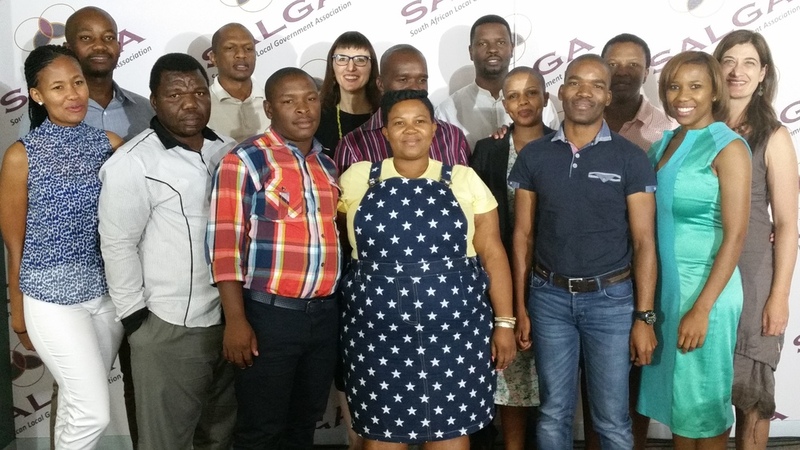 A 6 month professional development programme (PDP) for economic development practitioners took place through SALGA with a group of municipal officials in the North West Province from July to December 2014. The impact of the course on the participants was dramatic, shifting the way they perceived themselves as individuals as well as professionals working in the field of economic development. A special 2 day programme focusing on "Advocacy and Results" took place in the Western Cape for Local Municipal Officials and Councillors through SALGA.. At the end of the 2 day programmes, there was a great deal of excitement and enthusiasm about what was possible. A professional development programme (PDP) was developed and piloted in 2012 in response to research conducted during the formal five year review of Aspire, the Amathole Development Agency in the Eastern Cape Province. It involved a group of CEO's from other economic development agencies in the Eastern Cape and partnering institutions. The outcome of the pilot was extremely positive. A decision was made to develop the programme so that it could be offered to practitioners around the country. A new PDP train the facilitator programme was created and implemented with the economic development team at SALGA. This training programme was implemented to support SALGA's internal cacpity to roll out of a professional development programme (PDP) for economic development practitioners. Tahirih and Eric Michot travelled to Sainte Marie island off of Madagascar for the African Centre for Heritage Activities (ACHA). The purpose of the field trip was to conduct research and engage in the co-creation of a sustainable heritage resource management plan with the local community. The Eastern Cape Maritime Oral History Project focused on the collection of maritime oral histories for the geographic area between Port St Johns and the Msikaba River in the Eastern Cape Province. This project formed a template for SAHRA to implement similar projects in other parts of the country in the future, thereby increasing the depth as well as the breadth of our knowledge of the national heritage estate. An exhibition was designed to be an installation of materials gathered during the ACHA Maritime Oral History research project in the Eastern Cape. The focus of the research was on maritime history and water, from the perspective of residents of the designated coastal area. The “Lake Fundudzi Management Project: Phase 1” was project managed by Tahirih Michot through the African Centre for Heritage Activities (ACHA). The project produced a sustainable management plan for the proposed Lake Fundudzi National Heritage Site and recommendations for the development of tools and strategies for future site promotions and management activities. A tailored 2 day strategy facilitation process with Economic Policy Research Unit (EPRI) in Cape Town. The process provided space for team members to reflect on the current state of play and look for opportunities to collaboratively improve and refine the organisational strategy going forward over the year ahead. A commissioned external impact assessment for terre des homes schweiz (tdh-ch) to evaluate Humuliza, one of its long standing Tanzanian partner organisations and provide an external evaluation of the organisation as part of the new funding cycle. Research for an external evaluation of the Y2Y (youth to youth) replication programme for terre des hommes schweiz (tdh-ch). The Y2Y replication programme was a second phase of the Y2Y programme, a youth capacity building programme that makes use of the Solution Focused Approach (SFA) within Southern and Eastern Africa.